Every year for a week in January, Adelaide goes mad for lycra, carbon fibre and two wheels as the Tour Down Under (TDU) rolls into town. 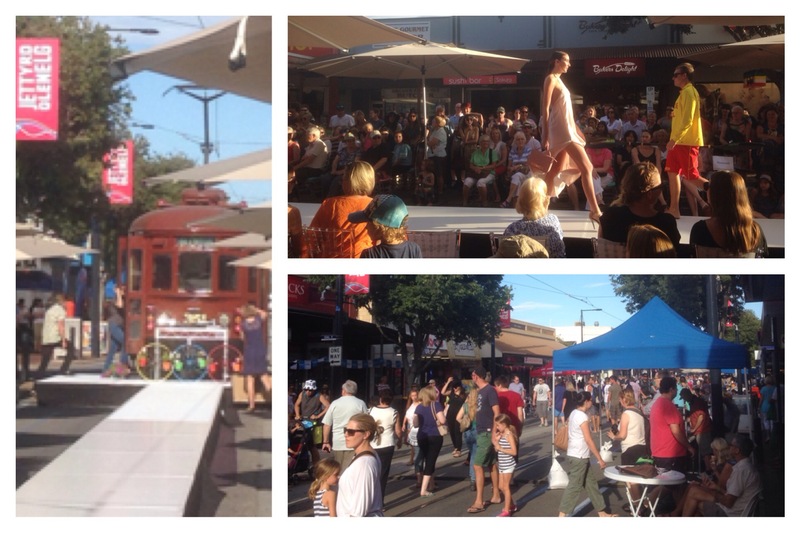 For the first time in years Glenelg had a stage start and to celebrate the occasion the council organised a street party on Jetty Road with street food and bars, market stalls, kids activities, bands and a fashion show. With a catwalk along the tramlines and the historic tram serving as a dressing room, for a short while lace and cotton trumped lycra. We fancied a drink and wondered if wine shop Fassina had a tasting. It did, but our pathway to free Mumm, sav blanc and Barossa Shiraz was blocked by coopers. No not the famous South Aussie pale ale, but an old dude “discussing” barrel-making with our tasting host, thereby distracting him from his duties. We were left scraping the barrel as the champagne had run out by the time we were served. The fashion did not disappoint though and it was surprising to see the girls and boys wearing so many clothes- on Jetty Road a bikini and flip-flops is normally considered as acceptable dress code. Or lycra. 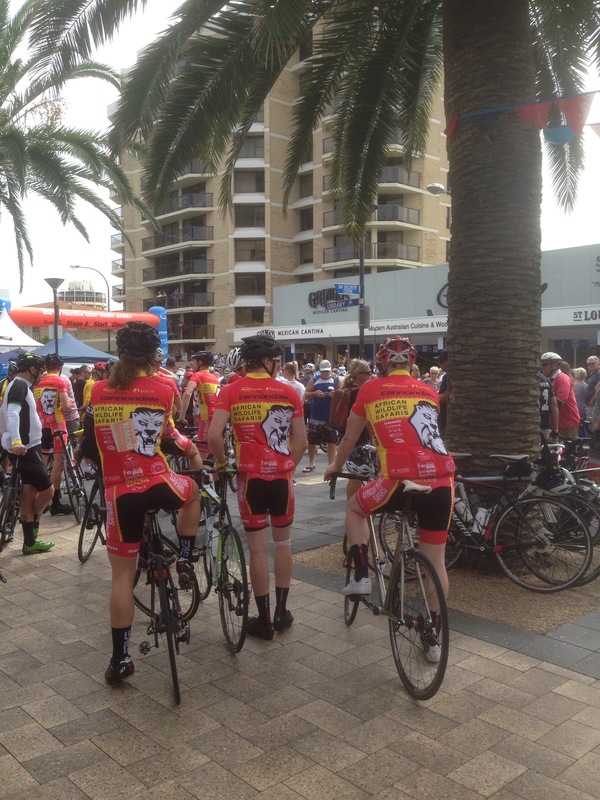 Yes, it is a massive event – the biggest public event in South Australia and was great fun.